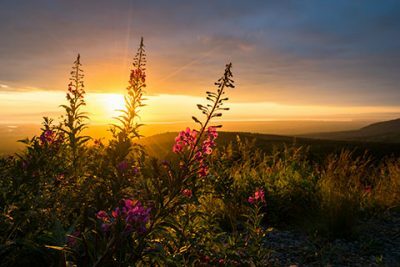 Chase the best light of the day, which during summer at this latitude can last several glorious hours before sunset. 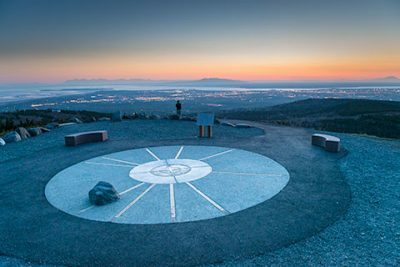 On this Anchorage photo tour you'll be transported to scenic locations around Cook Inlet, Turnagain Arm and Chugach State Park to shoot a variety of enchanting subjects. 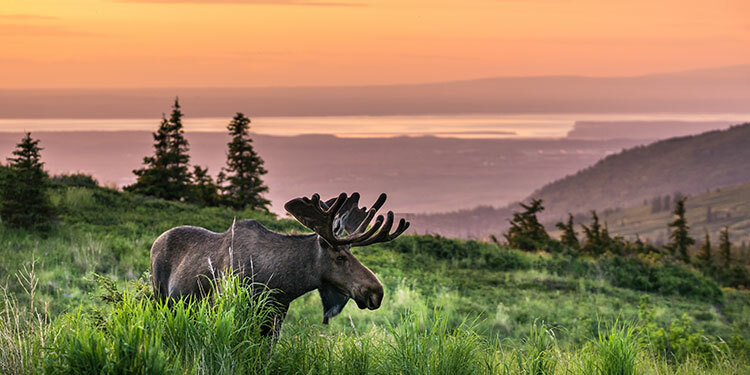 Sunset Photo Safari is photographic fun for everyone, from casual picture-takers using cell phone cameras to avid photographers with high-end gear. Departure times vary according to sunset and a flexible itinerary allows for spontaneous stops to photograph wildlife en route. 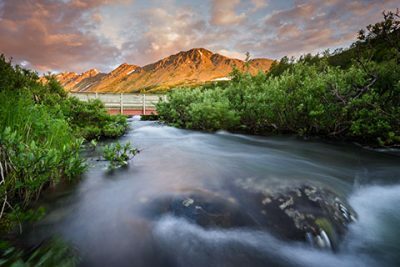 Throughout the tour, you'll be offered creative and technical support by your Alaska Photo Treks guide. It's a great way to see the sights while honing your photography skills. 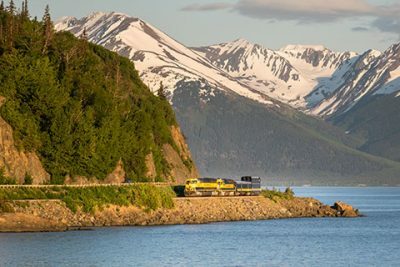 Book it at the start of your Alaska trip and you'll take home your best travel photos yet! 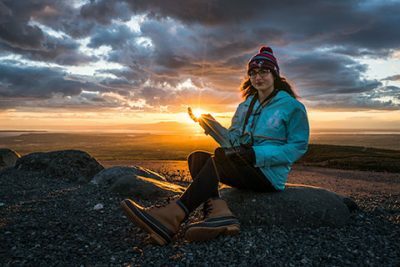 Sunset Photo Safari will resume May 1, 2019. Meanwhile, come explore magical wintery scenes with us on the Twilight Photo Tour! Duration is 4-hours, with departure 3-hours before sunset. 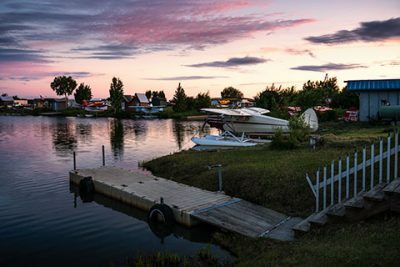 Due to the constantly changing sunset times at this latitude, departures are adjusted in 15-minute increments throughout the summer. This is a moderate activity that involves walking short distances up and downhill, on stairs and uneven terrain. Weather conditions may range from rain, wind, and sun, and temperatures from 45°F [7 °C] to 80°F [27°C]. 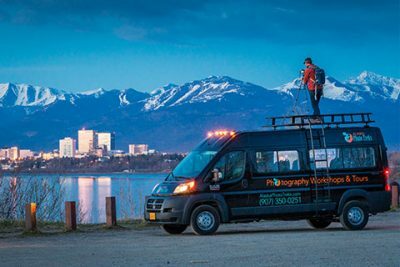 This Anchorage photo tour departs in all weather [barring a weather advisory)]. 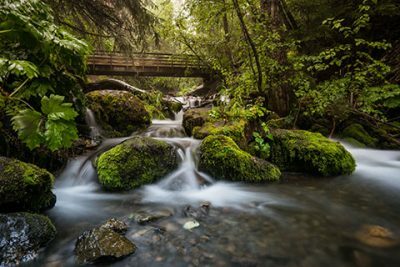 Some of the best photo ops happen during rain, snow or fog, and wildlife tends to be more active in cool, wet weather. Creative and technical photography instruction is offered by your professional, local guide. Natural history narrative en route. Tripods and a limited number of ND filters are available for loan. Light snacks and water [we strive to reduce the amount of plastic that ends up in the environment, so fresh water from a jug along with refillable cups].